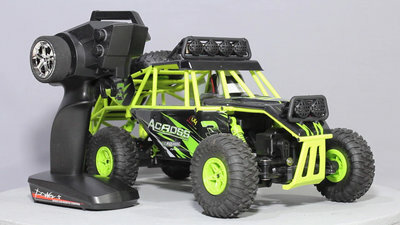 You can purchase the WLtoys 18628 on Gearbest. Rover number 6 is based on a commercial model car, the WLtoys 18628. The dimensions are 380 x 185 x 175mm and the weight is 780g. 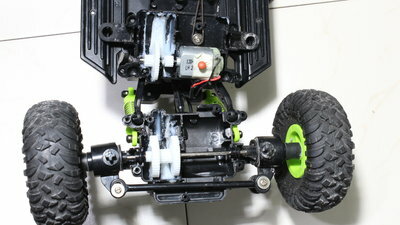 All 6 wheels of the WLtoys model car are driven by motors, the diameter of the rubber wheels is 78mm. The remote control in pistol grip design needs four AA batteries that are not included in the package. The drive battery is included and it's a Lithium ion type with a nominal voltage of 6.4V and a capacity of 320mAh. 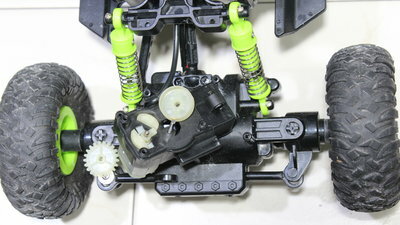 When having a look at the mechanics of the steering you can see that the motor is connected with the gears through a centrifugal clutch. That protects motor as well as gears against mechanical overload. The steering is not proportional: it's all or nothing. 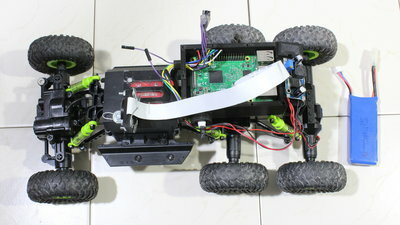 The wheels of each axis are connected through a straight rod, driven by a geared electric motor. For the conversion I used a Raspberry Pi 3, a camera module, a double H bridge, batteries with a higher capacity and a step down converter. 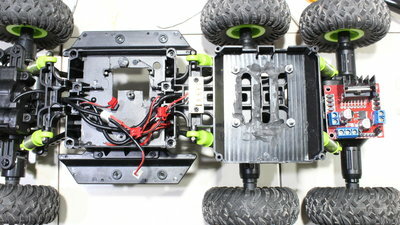 I removed the original electronics board and made cuts and drills on the chassis. I used a 3D printer to make cases for the Raspberry Pi, the camera and the step down converter. R6 is still in a very experimental state. I will publish the software and schematics after the first public test drives. 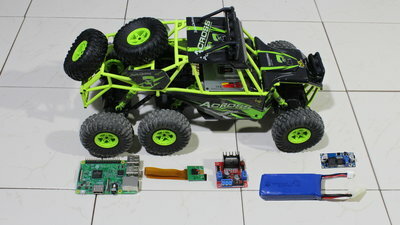 The capacity of the batteries is good enough for a runtime of no more than 2 hours which is why this car isn't in operation all day long, however there are more robots in my RoboSpatium that you can drive for 24h a day. If a mission is scheduled, you can see a link to the control page as well as a countdown in my RoboSpatium. 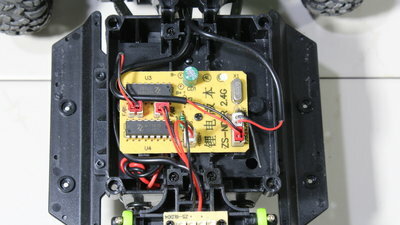 Follow me on Twitter @RoboSpatium to get a notification whenever R6 is up and running.